There are various stores in the Lake Tahoe area where you can pick up a holiday gift; however, if you really want to take back a piece of this beautiful, high alpine lake, then check out the stores that specialize in Tahoe-centric items, either handmade by local artists or that reflect the laid-back lake lifestyle. No, these bears don't come with chainsaws, but they're made with chainsaws and reflect the ursine residents of the lake. You'll see various versions of these wood-carved bears around the lake, and they make great lawn or home ornaments. 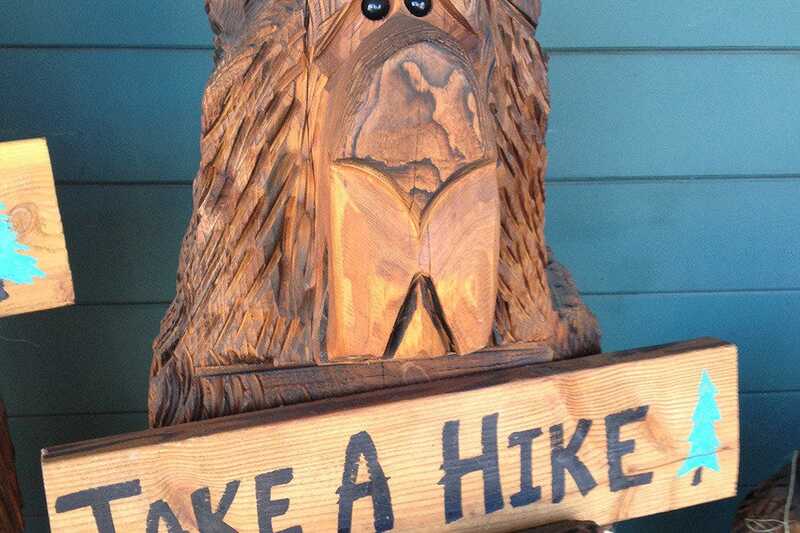 A carved bear can be picked up at the Mountain Home Center in Truckee. Prices can range from $150 to $500 per bear. Several artists in the Tahoe area specialize in weaving, painting, pottery, woodworking and handmade jewelry. Pick up a Tahoe-shaped necklace, earrings or ring in a deep blue to reflect the lake water at various locations, including Trunk Show in Tahoe City or La Galleria in Truckee. Prices start at around $35 for a necklace. Lake Tahoe is famous for its snow-topped pine trees, and the most impressive of them all is the sugar pine. This large tree drops some mega-sized pine cones, which can actually fetch $20 in a local store. Other pine cone designs can be found around the lake, including candles, jewelry, artwork and holiday decorations. 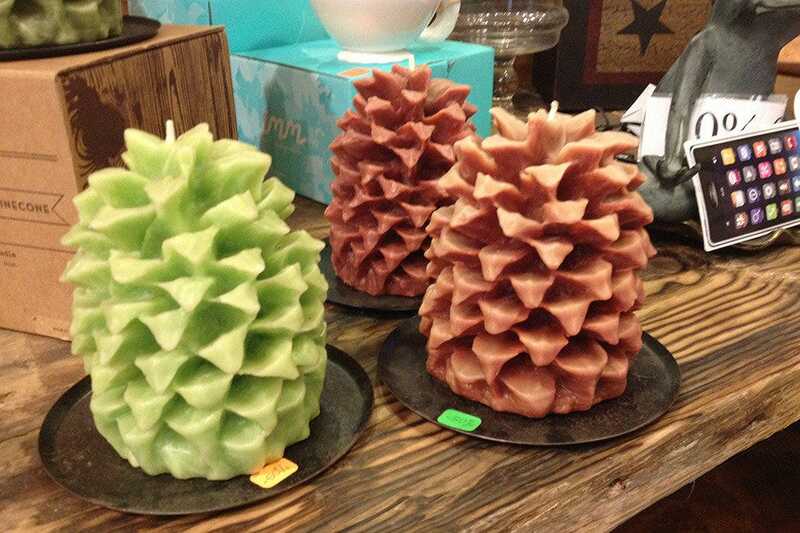 These pine cone candles start at around $15 at High Camp Home. 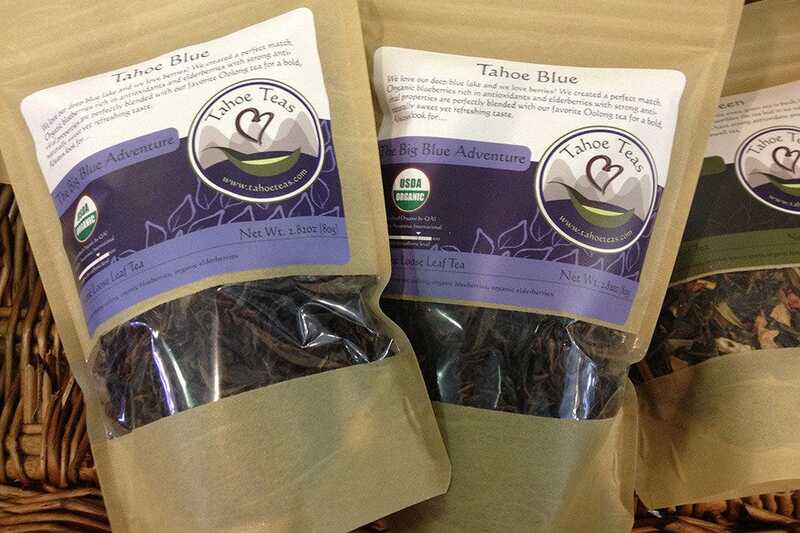 Tahoe Teas sells quality, loose-leaf organic teas in various locations around the lake. They have various flavors, including Tahoe Blue, with organic blueberries; Tahoe Red, with chocolate raspberry rooibos; and Tahoe Green, with yerba mate, ginko biloba, damiana, spearmint and lemon peel. You can pick up a bag for around $12 at the Cooking Gallery in Truckee. 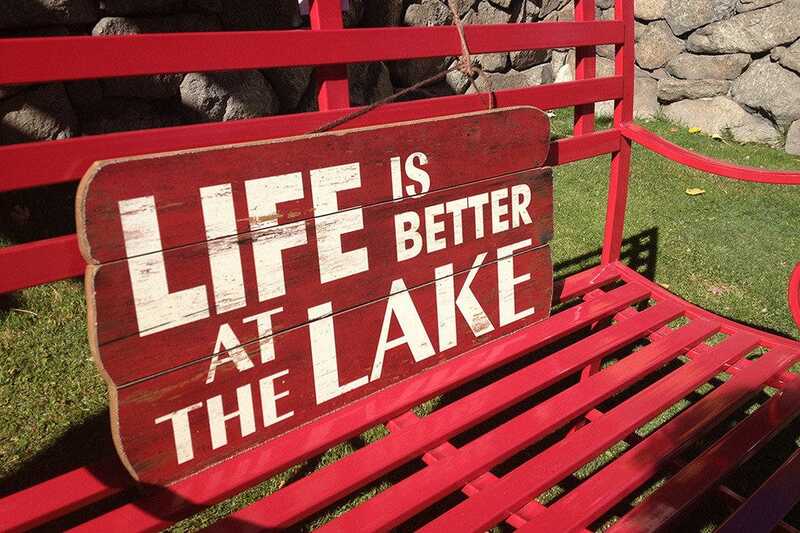 Other small companies in the Tahoe area are embracing the organic life. Sierra Essentials sells candles, soy candles, artisan soaps and lotions, essential oils and items for pets and babies. 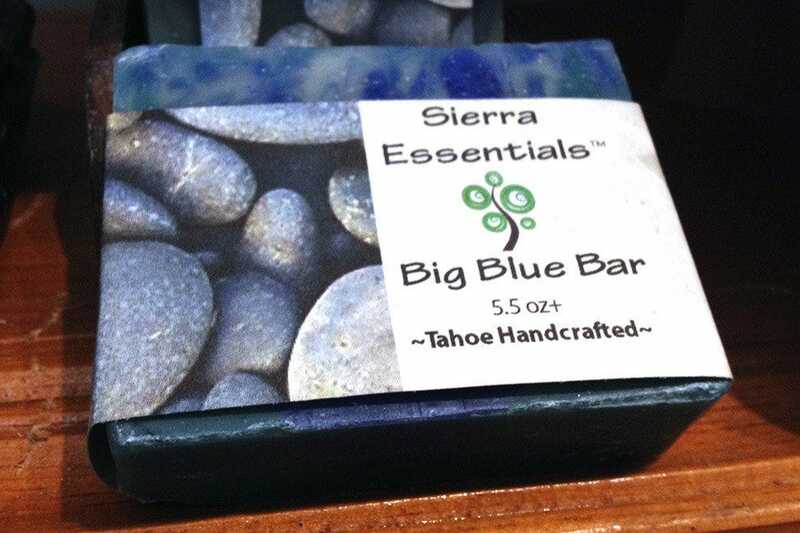 Their soaps smell heavenly, and all their products have the Tahoe touch and limited packaging. The soaps sold at Trunk Show sell for about $5 each. 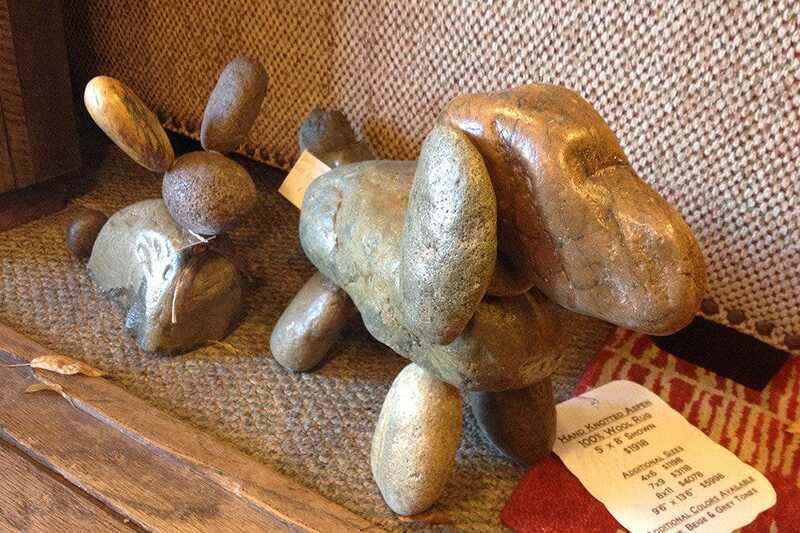 These cute doorstoppers are made from rocks found by Tahoe's rivers and creeks. They are handmade and heavy-duty; use them for stopping your door or as home or garden decor. You can find rabbits, dogs, birds and other animals at High Camp Home or Cabin Fever in Tahoe City. The smaller animals start at around $75 each. While Tahoe is mostly a skiing and hiking destination, it does have a Wild West side to it. 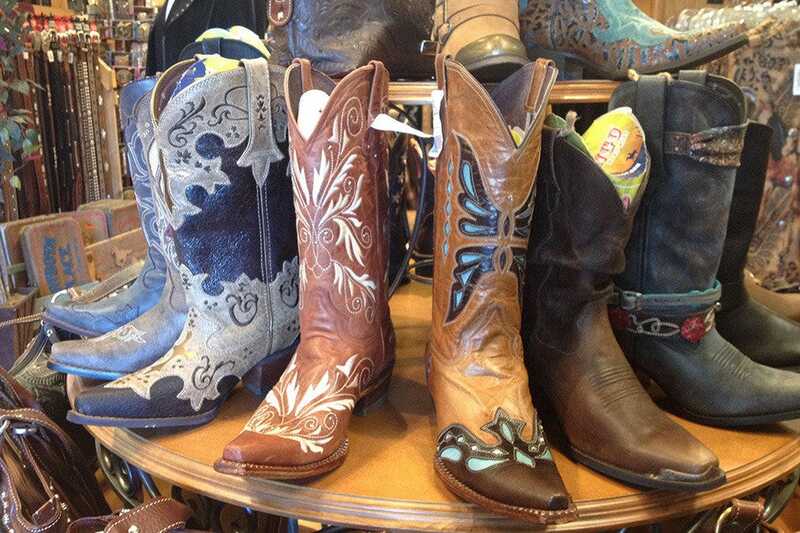 You can pick up some great Western clothing, hats and boots as well as Western decor and designs at stores like Cabona's in Truckee and High Chaparral in the Shops at Heavenly. Boots like these start at around $100. Recycling old materials into art is hot in the Tahoe boutiques. 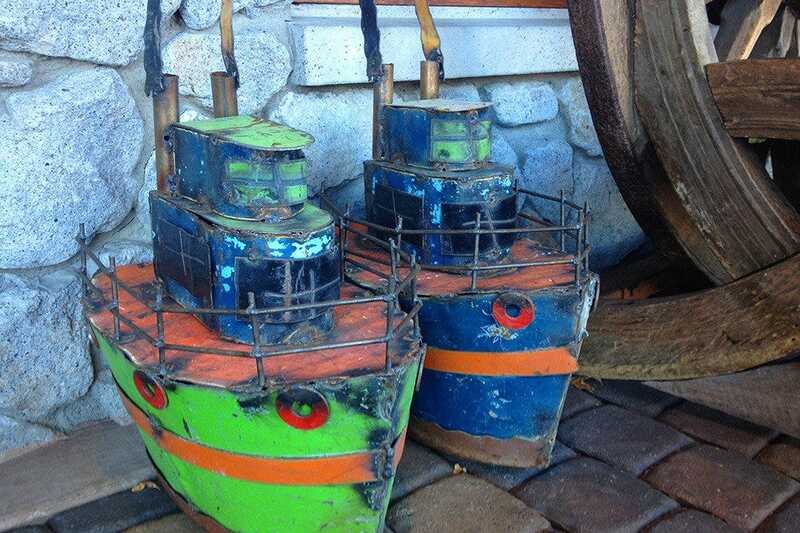 These handmade boats are made from scrap metal and can also be found at High Chaparral in the Shops at Heavenly. Similar items are scrap metal cars and firetrucks, roosters and chickens, flowers and animals like frogs and pigs. They're great for the garden. Smaller pieces start at around $100. 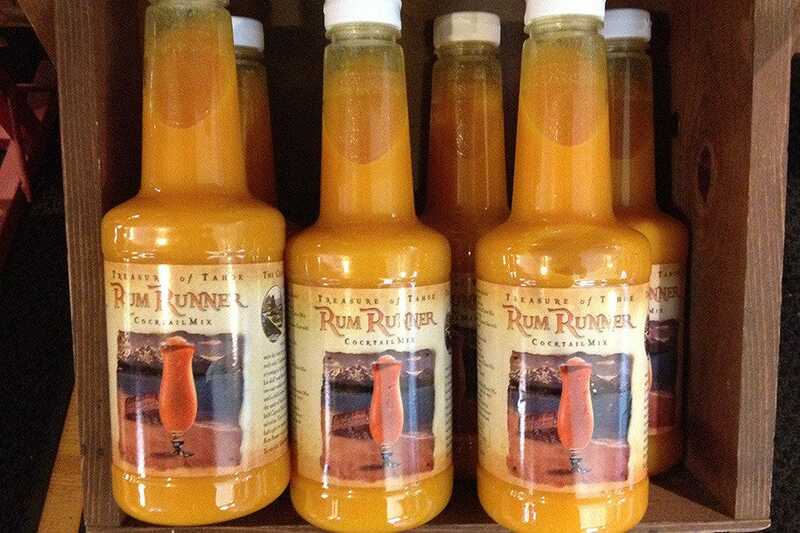 The Beacon Bar & Grill on Tahoe's South Shore not only offers the potent Rum Runner drink at its restaurant and on a boat cruise, but you can also take the delicious mix home. The Rum Runner cocktail is the official drink of summertime on the lake, but now you can drink it all year. The mix can be purchased at the Camp Richardson General Store or at The Beacon for around $12. 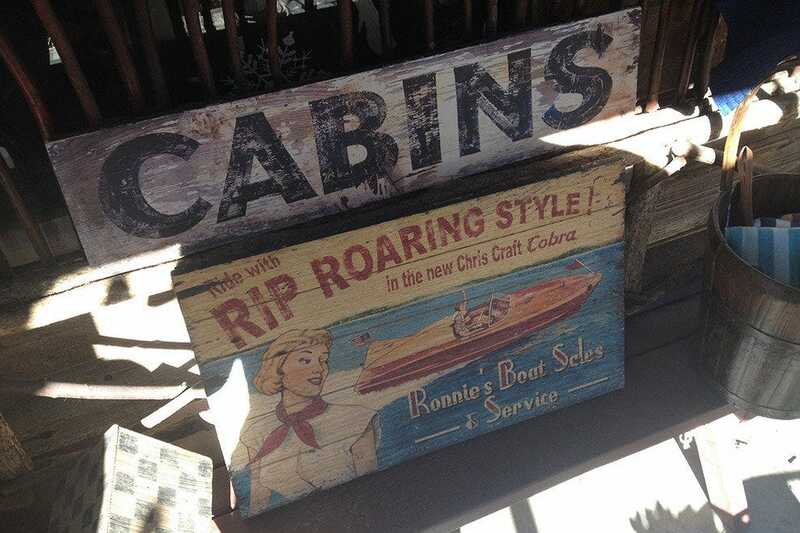 Signs like this can be found at various shops around the lake, including Riverside Studios in Truckee and Sugar Pine in Kings Beach. They come in various sizes and reflect the rustic mountain feel of the lake. Themes include boating, fly fishing, skiing, cabins and cottages, bears and animals. They start at around $25 and can go up to about $200. The mountains, snow, wildlife and that big, blue lake have become an inspiration for hundreds of artists in Lake Tahoe. In fact, many of the shops and boutiques in the Tahoe area feature handcrafted artwork, furniture, beauty and personal items, and clothing that reflect the colors and textures of the area. These make great gift ideas for the holidays. Buying local seems to be the term for this year's holiday season. Keeping money within a community helps to maintain local businesses and the spirit of smaller towns. If just half of the employed U.S. population spent $50 each month on independently owned businesses, their purchases would generate more than $42 billion in revenue! Where to begin your Tahoe holiday shopping? North Tahoe Arts in Tahoe City will be having their annual gift fair, Holly Arts, starting Wednesday, Nov. 5. It runs until the end of December. Here, they feature artists from around the Sierra Nevada. The fair has been held every year for over 20 years. "There are so many mediums presented at the show, including ceramics, wood, glass, two-dimensional pieces and photography," says the Executive Director of North Tahoe Arts, Kellie Culter. "The quality of art in Tahoe is amazing. It's really top-knotch." The owner of the popular Trunk Show boutique in Tahoe City, Jaclyn Woznicki, feels that handmade art is popular because you can pick up a unique item that no one else has. Many visitors to the area want a Tahoe-themed item – with a twist. 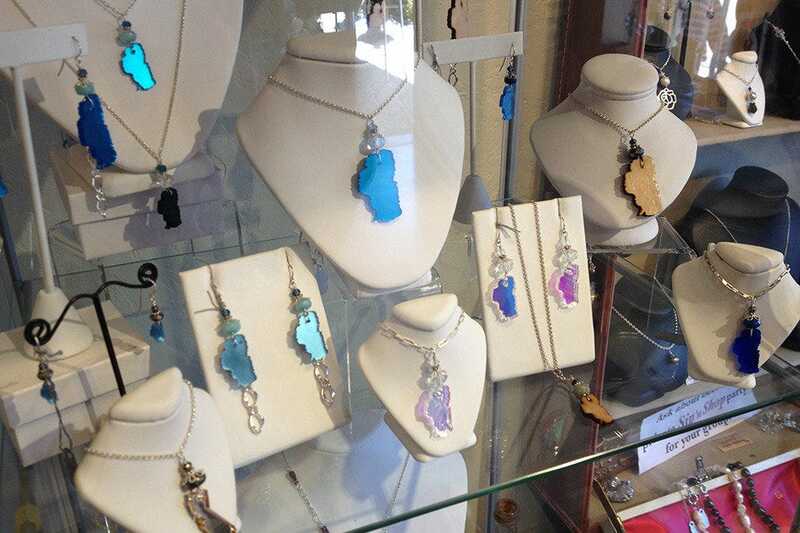 "Visitors to the Tahoe area are delighted that Trunk Show is full of things you can only get here," Jaclyn says. She adds that some of the most popular items at Trunk Show are handmade jewelry (made right in the store by Jaclyn herself) and handmade coffee mugs. 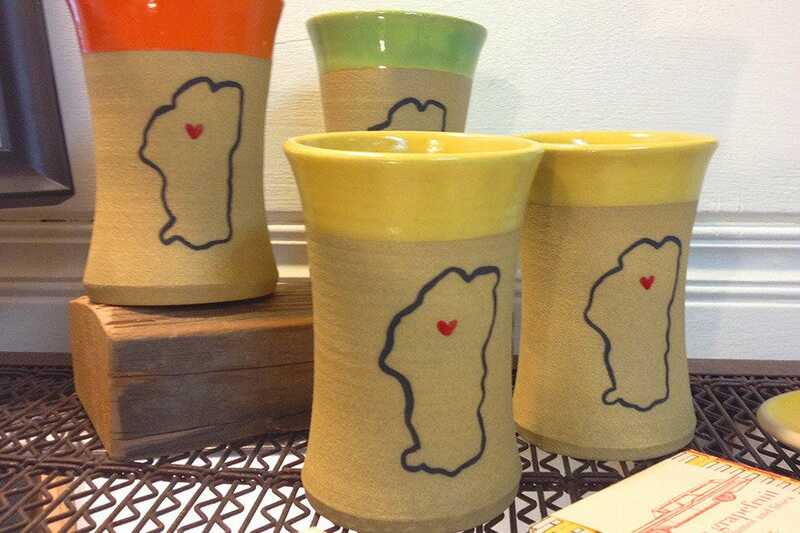 "The mugs are really popular and one of a kind," she says. "They are like a painting you can drink out of." Other popular gifts include small sculptures, holiday ornaments and hand-knitted hats and gloves. 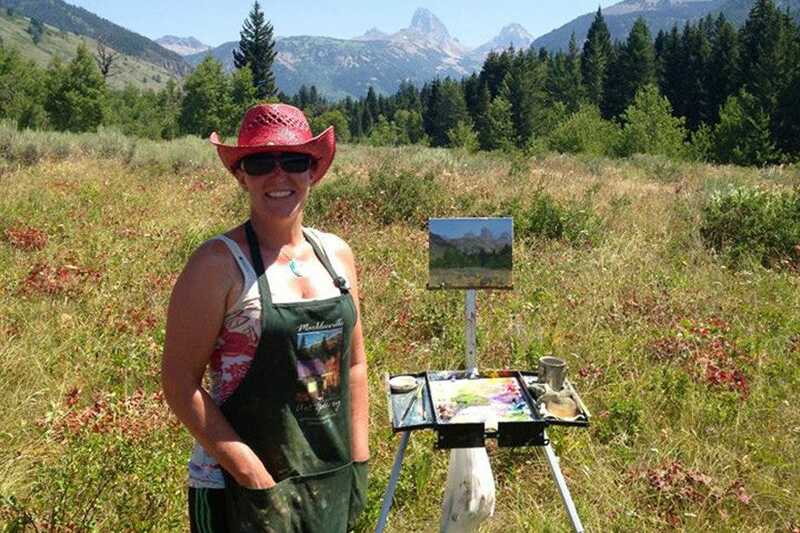 Christina Nellemann has been living and writing in the Tahoe area for over 30 years and loves to see what Tahoe artists come up with next.